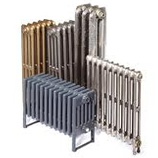 The Supplier of products in this agreement is Period Style Limited, a company registered in England and Wales under company number 07766149 and with our registered office at Unit D, Barrys Lane, Scarborough, North Yorkshire YO12 4HA. Our main trading address is Unit D, Barrys Lane, Scarborough, North Yorkshire YO12 4HA. Our website is www.periodstyle.co.uk. Our VAT number is GB140726042. 1.1.1 To cancel a Contract in accordance with your legal right to do so as set out in clause 13, you just need to let us know that you have decided to cancel. To cancel your order, email us at info@periodstyle.co.uk or contact our Customer Services team by telephone on 01723 321 333 or by post to Unit D, Barrys Lane, Scarborough, North Yorkshire YO12 4HA. If you are emailing us or writing to us please include details of your order to help us to identify it. If you send us your cancellation notice by email or by post, then your cancellation is effective from the date you send us the email or the letter is received by us. 13.4 To cancel a Contract, you just need to let us know that you have decided to cancel. Email us at info@periodstyle.co.uk or contact our Customer Services team by telephone on 01723 321 333. If you are emailing us then please include details of your order to help us to identify it. If you send us your cancellation notice by email, then your cancellation is effective from the date you send us the email. For example, you will have given us notice in time as long as you email us before midnight on that day.